A hospital is a unique environment with many working parts, each with a different purpose and needs. That’s why Florock offers a wide array of floor coating systems uniquely formulated to withstand the harsh environments found in hospitals. 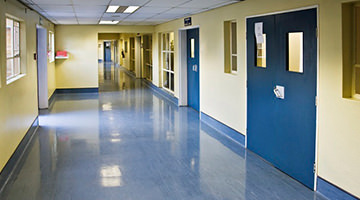 No matter what part of the hospital requires a flooring update, you can trust that Florock’s polymer floor coatings will meet the most rigorous indoor traffic challenges in your institution. Florock’s healthcare and medical flooring systems are designed to endure the high demands of a hospital while offering a beautiful appearance. We offer many flooring options to meet your needs. Our flooring specialists will support you from design through construction to ensure that your new floors perform and look their best. All of our epoxy flooring systems are customizable to suit your institution. From custom and wayfinding graphics to decorative options and colors, our hospital flooring solutions can help create a nurturing and welcoming environment that promotes staff efficiency, positive patient outcomes, healing and well-being. 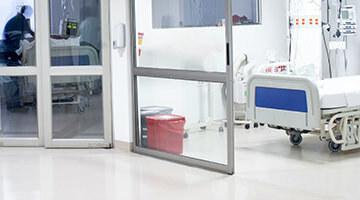 Contact us to learn more about our flooring options for hospitals.